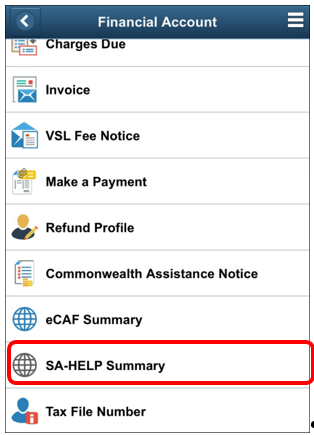 Below shows you how to complete your electronic Commonwealth Assistance Form (eCAF) and Student Services and Amenities (SAHELP) in my Student Centre. Screen shots below are a mobile phone view. 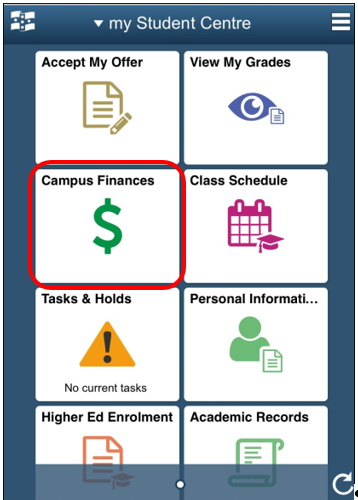 After logging in to my Student Centre, select the Campus Finances tile from your home page. 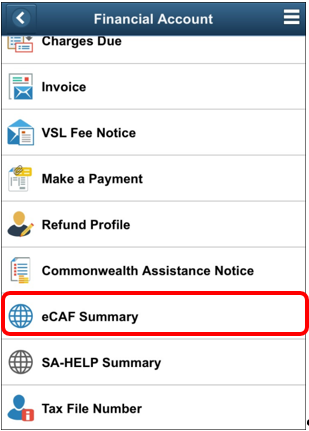 To complete or review your eCAF (for HECS-HELP and FEE-HELP loans) select the eCAF Summary item in the menu (you may need to scroll down the page if you are using a mobile device). 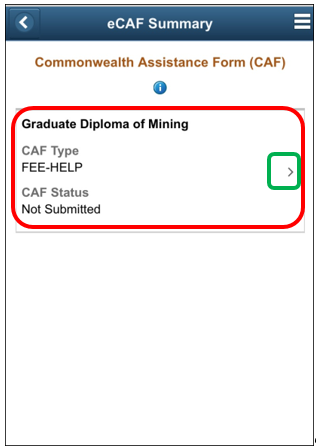 Select the required CAF form by clicking on the small chevron (highlighted in green). 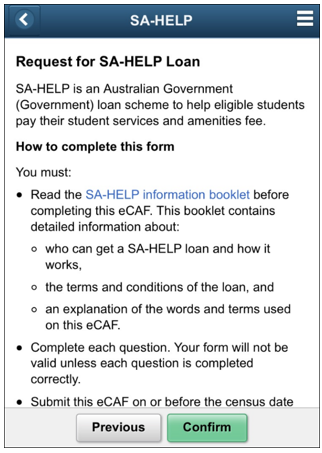 Complete all required screens and then submit your completed form (note that only the first screen is shown in this example). Note that changes cannot be made to your HELP form once it has been submitted. 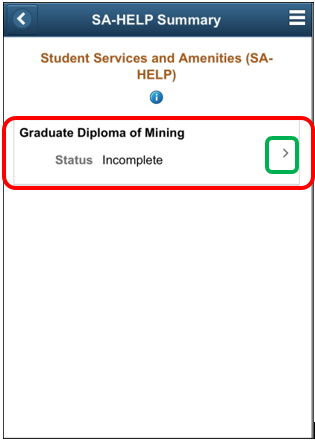 Select the required Student Service and Amenities form by clicking on the small chevron (highlighted in green). 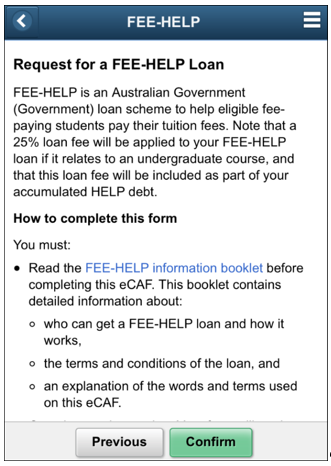 If you require further assistance please contact Student HQ on 1800 FED UNI (333 864).